Most of today’s R/Os have a 4-1/2 gallon storage tank along with an automatic shutoff valve. The valve closes to shut off the water production when the tank is full. Once water is drawn from the tank, the valve reopens to produce more pure drinking water until the tank refills. More storage is available by adding another storage tank or a larger storage tank (if there is room under the kitchen sink). The membrane production rates vary from 5 to 150 gpd (gallons per day) for residential applications. A 5 gpd membrane means that once 1 gallon of water is removed from the storage tank, it takes approximately 5 hours to reproduce a gallon of pure water. For commercial applications the range is usually 250 – 2,500 gpd. A 24 gpd membrane means that once 1 gallon of water is removed, it only takes 1 hour to reproduce a gallon of pure water. This higher reproduction rate usually eliminates the need for more storage. There is no waste because water rejected contains the undesired components of water which are not wanted or needed. Many studies show that these components can be hazardous to a family’s health. Diamond Pure Water Filtration offers the most modern up to date proven R/O systems, with the higher reproduction rates and lowest waste water rejection rates available. Your drinking water would now be 95 to 98% pure for your family. As you may know by now, there are many different shapes, sizes, models and makes of water softeners. Shopping can be very confusing. Water softeners do one thing which is remove hardness, minerals from the water, salt or potassium is used in the process. Over 13 gpg of hardness is considered extremely hard. The average water in Southern California is 20-25 gpg of hardness, almost twice what is considered extremely hard. Valve – Is it mechanical, electronic, automatic, manual, set on a timer or does it have a gallon counter. Flow rates – What is the maximum gpm (gallon per minute) flow rate? Diamond Pure Water Filtration offers only water softeners that are built to handle extreme hard water conditions. The following are various filtering and/or treatment stages which are offered in water conditioners. Refining – Carbon or charcoal helps reduce chlorine, bad tastes, odor and many cancer causing carcinogens. Silica filtration – Silica sand helps reduce cloudy, murky water, rust stains, etc and also helps maintain higher flow rates. Quartz filtration – Additional filtration of undissolved dirt and sediment in the water. KDF filtration – Helps reduce heavy metals and bacteria such as aluminum, arsenic, iron, lead, mercury, bacteria, etc. By adding any of these features, you now have more than just a water softener and a better than just soft water quality of water throughout your home. None of these features produce anything near reverse osmosis quality drinking water. They simply help produce better water throughout for the entire home to bathe, cook, shower, wash dishes, clothes and help maintain cleaner appearance and life expectancy of plumbing, appliances, etc..
As with softeners, the same types of variables come into play: tank size, capacity, softening resin, quality of the various medias used to treat water, valves, warranties, flow rates, etc. Diamond Pure Water Filtration water systems offers the highest quality, proven and tested water conditioners available to meet the extreme hard water problem in Southern California. There are many types of no salt systems available which do a variety of things such as eliminating scale in your plumbing system. Diamond Pure Water Filtration offers a wide variety of systems designed to provide you with an alternative solution vs a standard water softener, providing you and your family with a environmentally friendly product while saving you money. A Bottle-Less Water Cooler is a dispenser of drinking water with a variety of options (hot and cold dispenser, reverse osmosis system, etc) typically used in the home or office. Diamond Pure Water Filtration Bottle-Less Coolers are advanced, attractive and durable. They are the perfect way to enjoy clean, crisp, filtered water without the hassle of dealing with heavy bottles and delivery schedules. Save money, space and time with your own Bottle-Less Water Cooler System. Enjoy filtered water 24 hours a day. 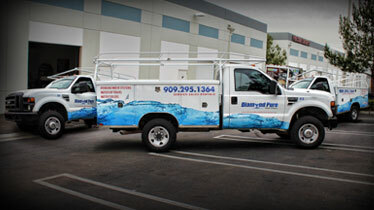 Installs easily to your to your cold water line for a continuous water supply. Carbon Filters, Sediment Filters, Standard and Commercial Membranes, Alkaline Filters, KDF Filters, UV Filters, Back Washing Filters, Ceramic Filters and many others are available at a much more affordable price than most of our competitors. How can Diamond Pure Water Filtration help me?